From side dishes and appetizers to the main course, we have something on this list for whatever you need for Christmas dinner ideas. 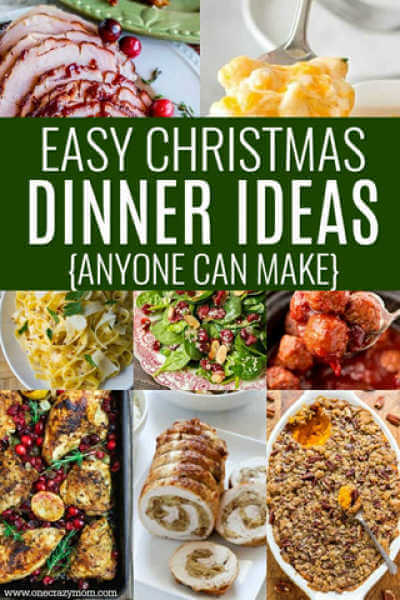 These Easy Christmas Dinner Ideas will take your meal to the next level and make your Christmas dinner amazing. Christmas dinner and Thanksgiving dinner are easily the two biggest meals you’ll serve all year. If you’re going to put in all that time, work, and effort, why not make it really special! If you are looking for ideas, we have everything you will need for a delicious Christmas dinner. Your holiday menu will be complete from start to finish. Try these easy Christmas ideas for a holiday meal no one will forget. Delicious food and wonderful memories will be made around the holiday table enjoying a fantastic holiday dinner! 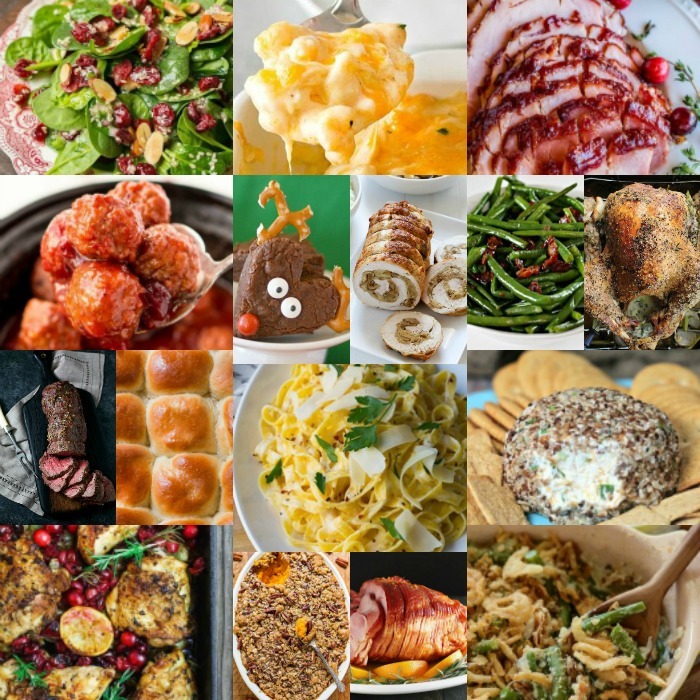 Whether you are looking for holiday menu ideas buffet style or southern Christmas dinner menu ideas served family style, there is something for everyone. Get your notepad ready and let’s start with these Christmas menu ideas! From classic to new recipes, there are ideas for everyone. What should I serve for Christmas dinner? From appetizers and main courses to desserts, you will find everything you need for a spectacular Christmas meal! These recipes are delicious and will have guests asking for the recipe! What can I make ahead for Christmas dinner? The good news is many of these Christmas dinner ideas can be made ahead of time allowing you more time to spend with your family. No one wants to be stuck in the kitchen all day on Thanksgiving Day. Appetizers like cheese balls can be made the day before and actually taste better made in advance. Many side items like Sweet Potato Casserole and Green Bean Casserole can be made the day before and just baked on Thanksgiving Day. You don’t need to spend all day in the kitchen with these easy and delicious ideas. Many can be prepared in just 20 minutes or even 15 minutes! Let’s get started with these Christmas dinner menu ideas! 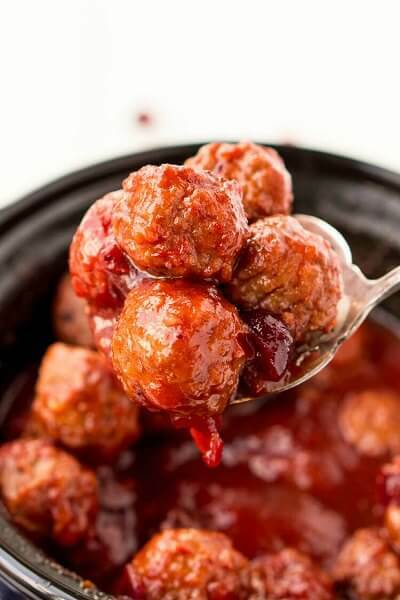 The cranberry combined with the orange make these meatballs tangy and sweet. They are the perfect starter to any meal! Everything is better with bacon! 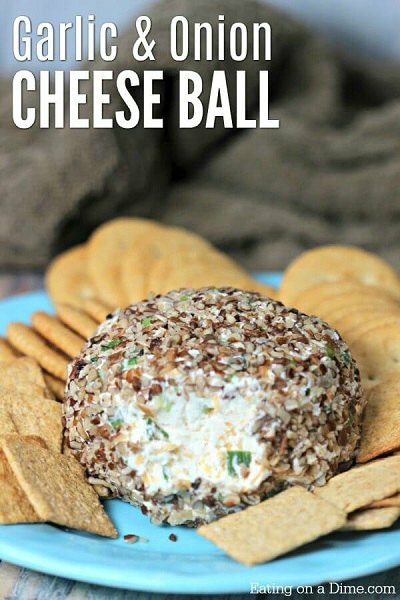 This cheese ball is packed with flavor and so easy to make. 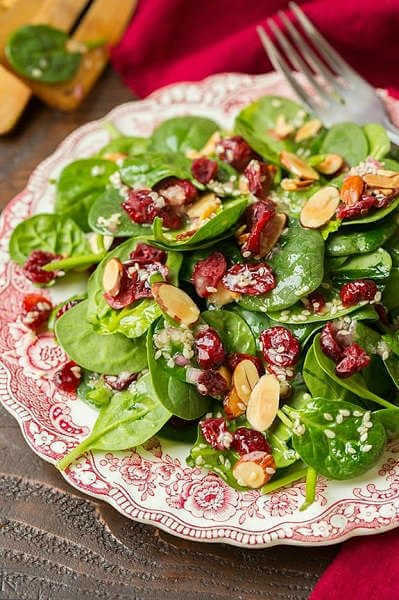 The cranberries and almond make this salad sweet and salty. The perfect ingredients to make this salad festive. Cheese balls are so easy to make and this one full of garlic and onion flavor does not disappoint. 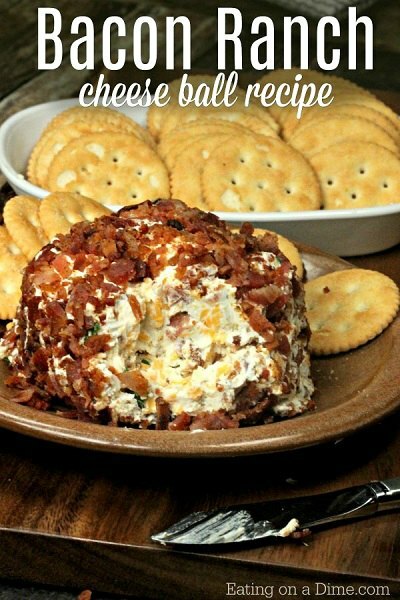 This cheddar cheese ball is the perfect compliment to a Christmas meal. 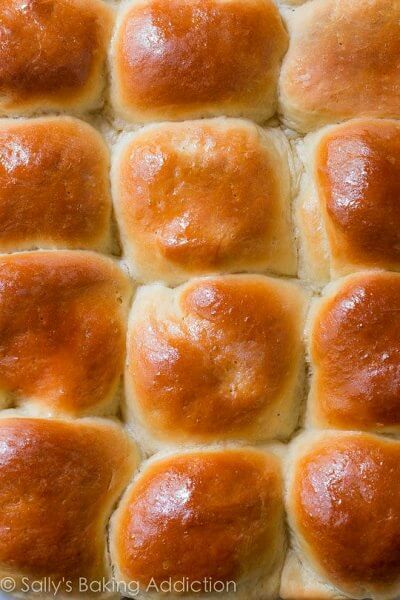 These honey rolls are so light and fluffy. Every meal needs a good roll and this one is amazing! 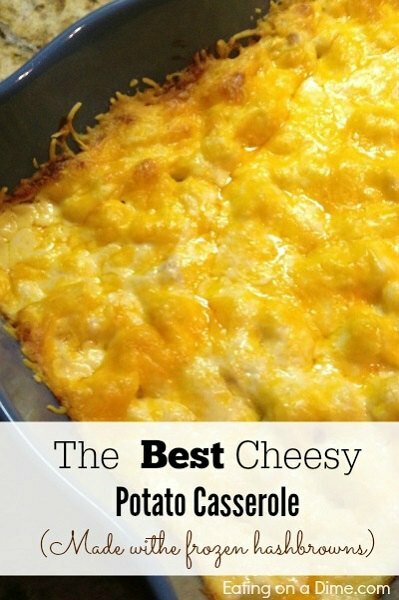 This casserole is so simple because it starts out with frozen hash browns! 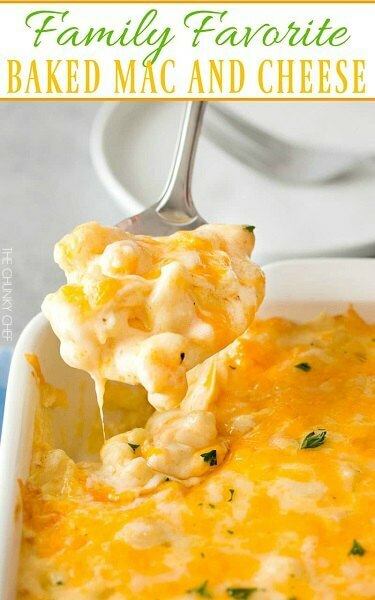 It’s creamy and baked to golden perfection for a nice change from plain mashed potatoes. 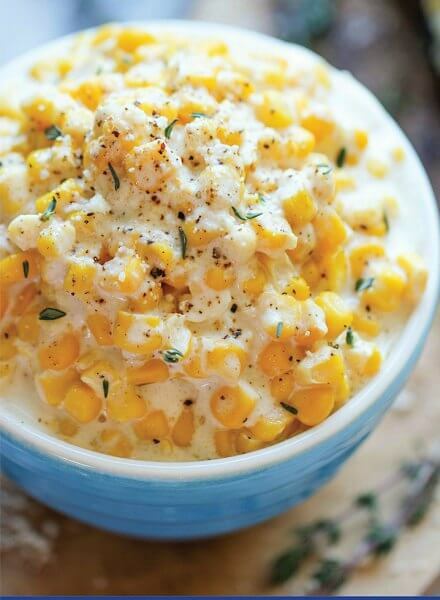 Make creamed style corn in the crock pot. It’s much better than store bought and so easy! 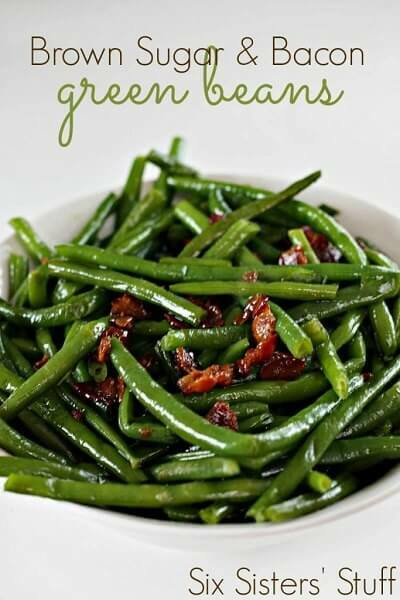 Everyone knows you need a little bacon in your green beans! This recipe combines not only bacon but a hint of brown sugar. This recipe will be anything but boring. Guests will gobble up this side dish. 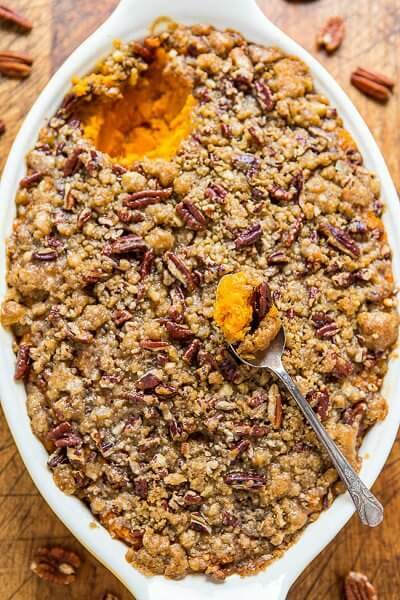 This casserole is full of creamy sweet potatoes topped with a crunchy brown sugar topping! The nuts add an extra layer of flavor that is amazing with sweet potato. 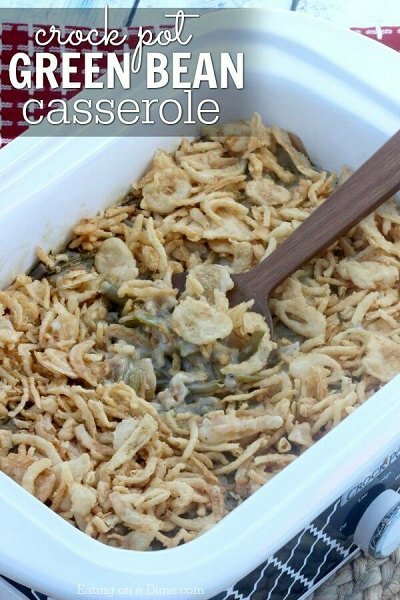 The classic green bean casserole is made easier in the crock pot! No more waiting by the oven and it’s easy to take to your holiday gathering! 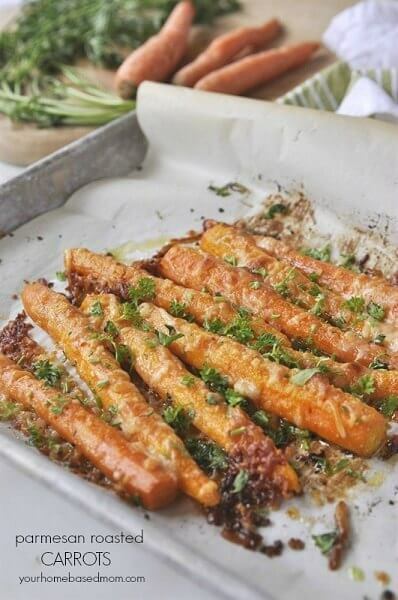 Even the kids will eat carrots when they are roasted and topped with cheese! They also look gorgeous! 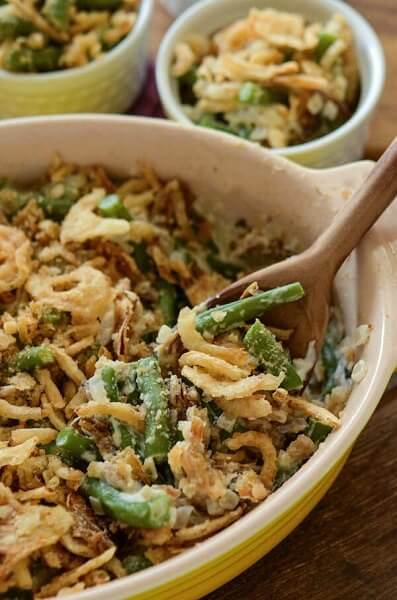 This green bean casserole is creamy and filling. Guests will love this casserole topped with crispy fried onions. 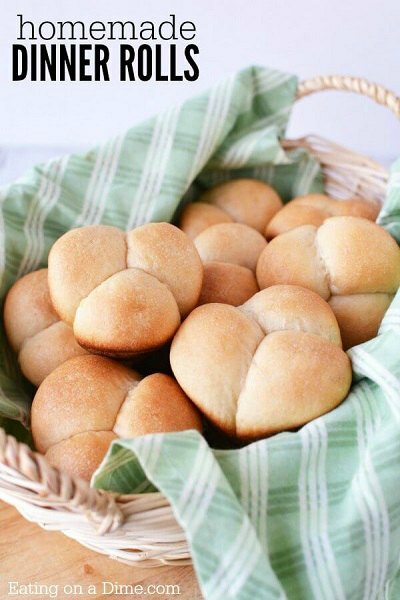 Make your own rolls with this easy recipe. They are so good and even better with some extra butter! The knots look so pretty and guests will think you spent hours on them! 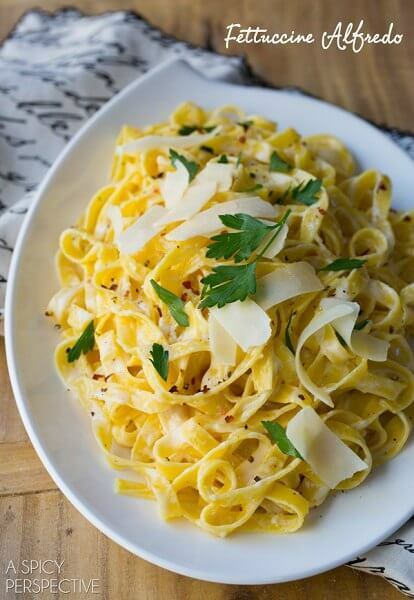 Alfredo sauce is so creamy and delicious. Make this special holiday version for your Christmas men. Only 4 ingredients and this ham will be cooked to perfection. Even better, it’s baked in the slow cooker! Take the stress out of holiday cooking and let the slow cooker do the work! 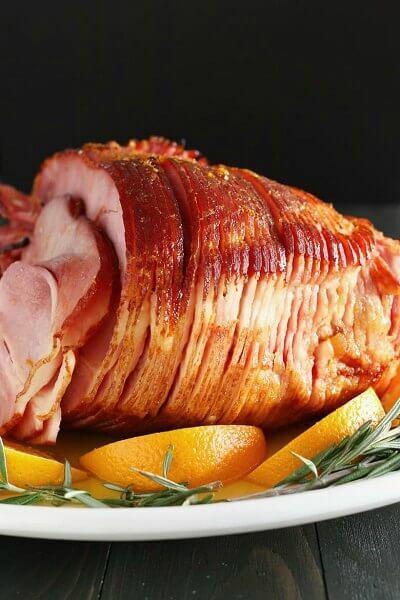 This ham is so tender and flavorful with brown sugar and maple syrup. 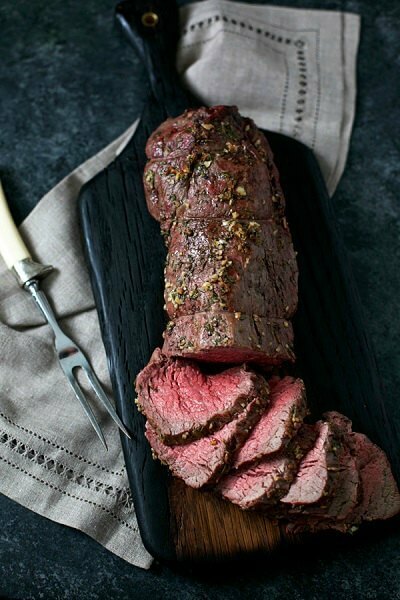 Roast seasoned with garlic and rosemary make this tenderloin so tender and flavorful. The secret is mayonnaise and you will be amazed at how moist this turkey is. No more dry birds! This recipe is cooked to perfection. 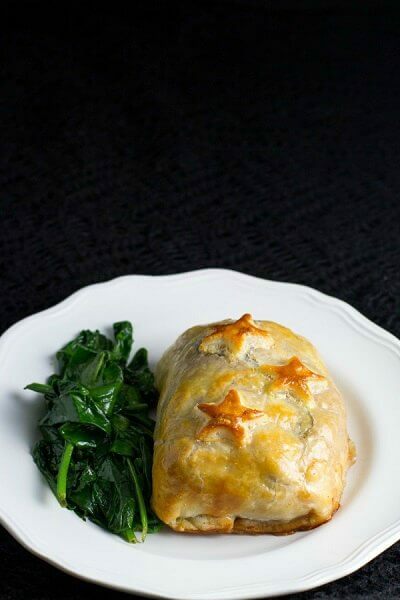 Make Beef Wellington into single size portions! Perfect for something a little different and fancy! 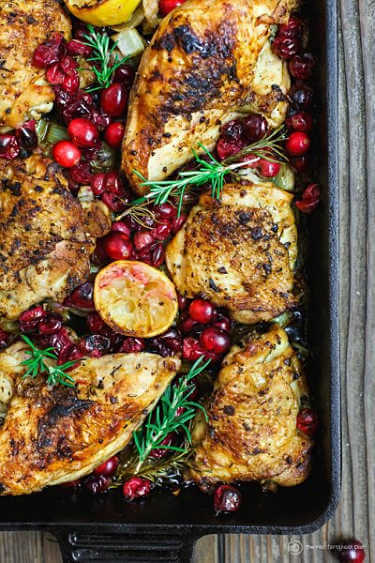 Roast chicken with garlic, rosemary and cranberries! The flavor is so yummy plus the cranberries look festive. Mac and Cheese is a popular side dish. Make this creamy baked version to please a crowd. It’s so delicious. 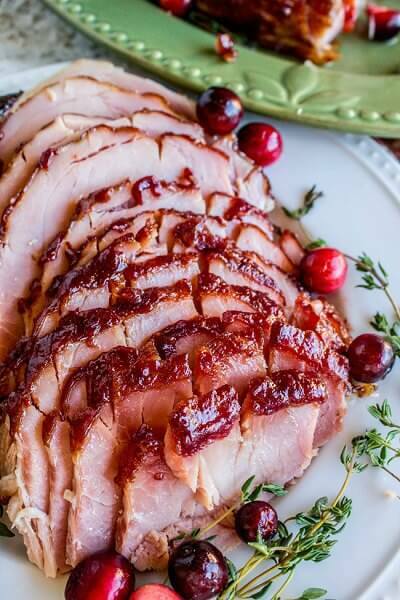 Use mustard and cranberries to glaze an oven baked ham or throw in a splash of orange juice. It’s tangy and sweet and so tender. 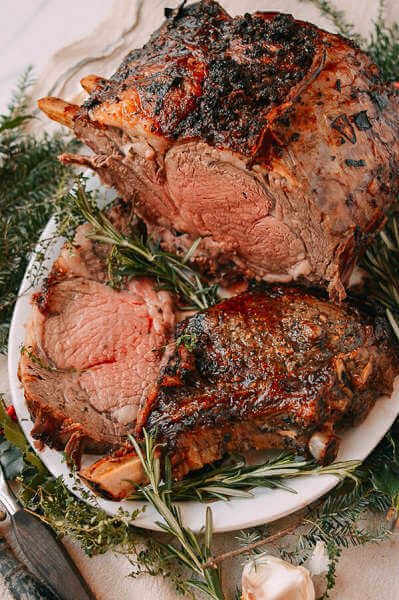 Everyone love prime rib and this roast cut is perfect for Christmas. It serves a crowd and falls off the bone it’s so tender. 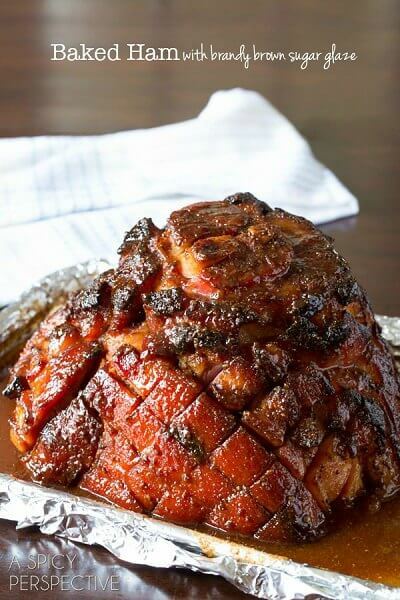 This recipe shows you how to score the ham and coat it with an amazing brown sugar glaze. You are going to love this brown sugar flavor. 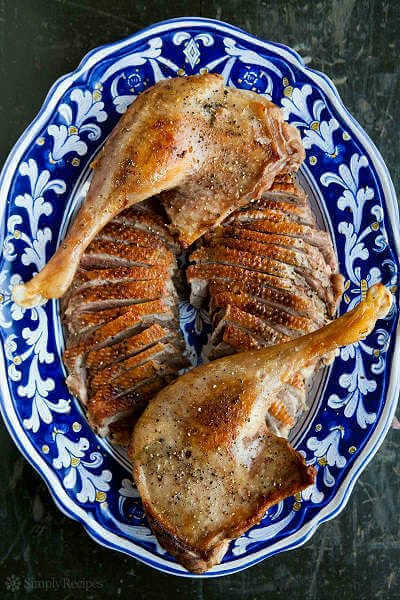 Try something different and roast a goose! This recipe is packed with flavor. This ham is so easy. 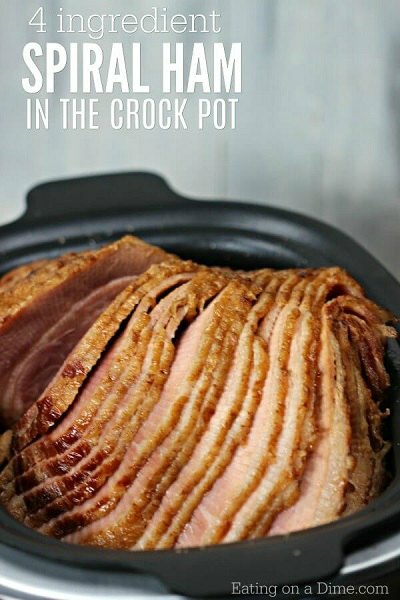 The orange glaze adds a little bit of sweetness that is perfect with the ham! 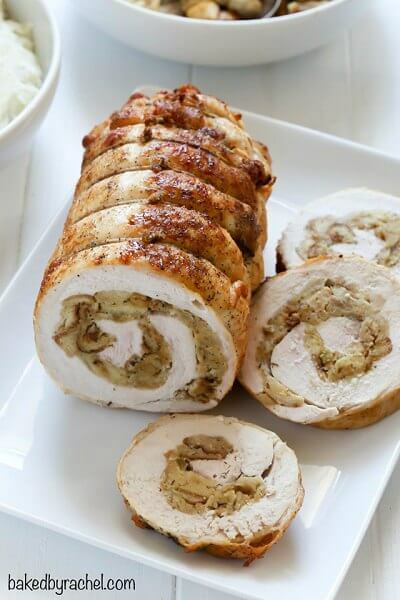 Use stuffing inside a turkey breast to make this turkey roulade. It looks fancy but it’s very simple. Guests will love it. Chocolate cake is a must on everyone’s Christmas menu. 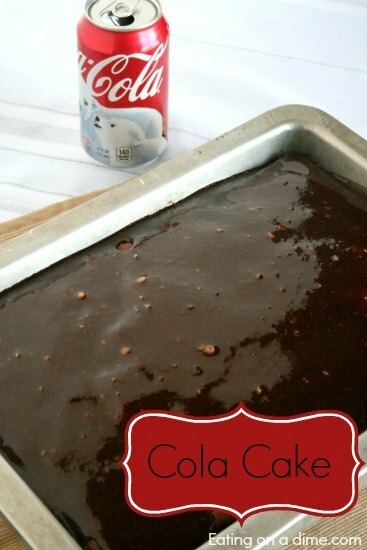 This one is made with Coke and you will not believe how moist and flavorful it makes the cake! 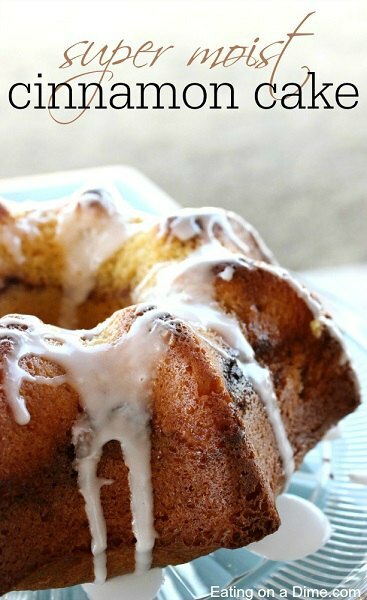 Cinnamon swirled in this cake make this recipe so yummy. The decadent icing on top is sweet and delicious and looks gorgeous drizzled on top! The secret to this recipe is a cake mix! 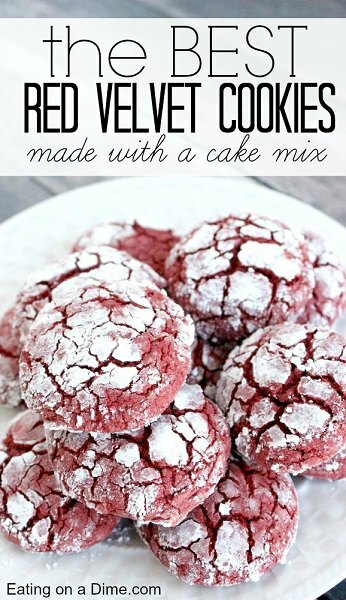 It’s so simple but these little bite size red velvet cookies are amazing. The powdered sugar on top just takes them to another level. Plus, they look so festive! 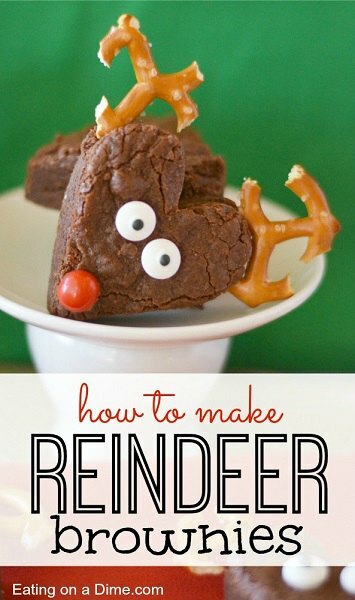 Kid’s will love these reindeer brownies. Such a fun treat for children and they are very simple to make! Now that you have all of these ideas for Christmas dinner, what will you make? Christmas is such a special time shared with family and friends. I have learned it is more about the company and not so much the surroundings. So don’t stress over everything being perfect. Make your list of Christmas dinner recipes to add to your menu plan and enjoy this wonderful season. Just remember that it’s not about perfection but about making memories. 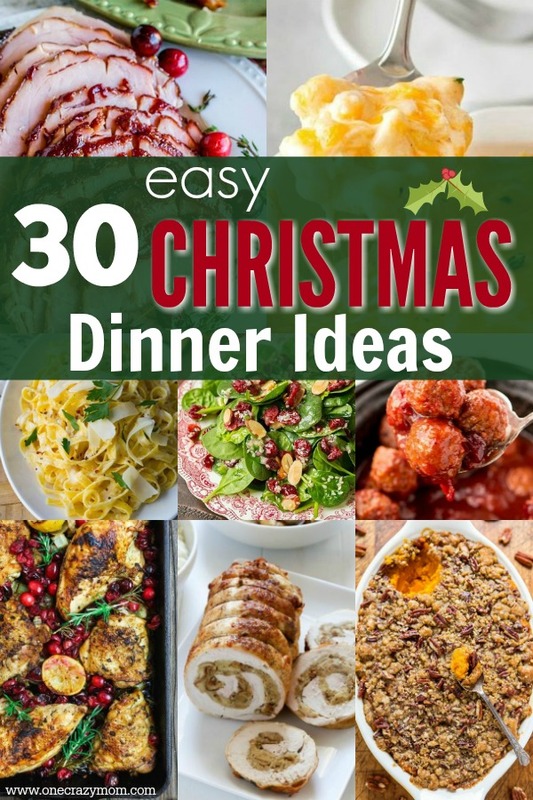 Whether you are serving dinner for a few people or Christmas dinner ideas for a crowd, these recipes are sure to be a success. From unique Christmas dinner ideas to traditional Christmas dinner menu recipes, there are so many delicious recipes to try. Some years we have enjoyed alternative Christmas dinner ideas. Everyone loves ham and turkey but some years it has been fun to try an alternative. 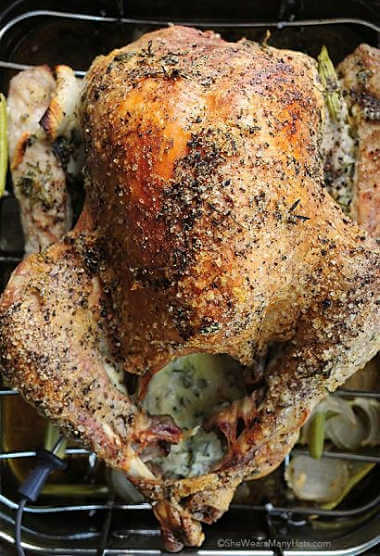 Pork roast and Roasted Chicken have been hits in the past. Get started with these Christmas dinner party ideas. Enjoy! Let us know if you have any favorite holiday recipes that you always have to include. We love family favorites and always enjoy a new recipe. If you need some holiday inspiration, try these DIY Christmas Table Decorations. Your home will be so festive for the big Christmas dinner! While everyone is visiting for the holidays, or perhaps on Christmas Day, why not play some fun Christmas Party Games together!